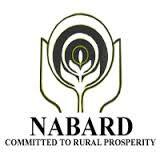 National Bank for Agriculture And Rural Development (NABARD) has published a Advertisement for below mentioned Posts 2015. Check below for more details. At least a Bachelor’s Degree in any discipline with a minimum of 50% marks (pass class for SC/ST/PWD candidates) in the aggregate and knowledge of word processing on Computer is essential. Please read Full Official Notification for more Educational Qualification details.